In the fall of 2016, the Illinois Legislature passed and the Governor signed a new statute that completely changes the way child support is calculated in Illinois. The new law took effect July 1, 2017. Let’s say the both spouses each contribute $5000 of that combined income, or 50%. Without extenuating circumstances, each spouse would be responsible for half of the basic child support obligation. For another example: If there are two children, and if based on the combined income of the parents, $50,000 annually is spent on the two children, and if the father has 40% of the combined income and the mother 60%, and if the father is to pay child support, he would pay 40% of the $50,000 or $20,000 annually. For the first time, the new statute makes it explicitly clear that spousal maintenance/alimony received pursuant to a court order is income for child support purposes. Calculating additional expenses is much like the process of calculating the basic child support obligation. The difference is that additional expenses are not calculated from a schedule. Instead, additional expenses from each parent are added together to create a total. That total is prorated based on each parent’s percentage of contribution to the household’s combined net income to calculate how much each parent should pay out of that total. Each individual parent’s additional expense obligation is added to their basic child support obligation to come up with their total child support obligation. How to calculate parenting time allocation: Assume that the winter break from school is two weeks, the spring break is one week, and each parent gets two weeks of vacation during the summer, which leaves 45 weeks in the year. If each parent gets two weeks in the summer plus half of the winter break, then each parent starts with 21 days. A parent would then need 125 additional days to get to 146 days. If the parties alternated the spring break, then they would each have 3.5 days. Then a parent would need 121.5 overnights in a year. Divide that by 45 weeks remaining in the year, then a parent would need three overnights out of seven for the rest of the year in order to reach 146 nights. The potential for parents to significantly argue about getting both of them to 146 nights minimum turns into a financial one rather than a consideration of what parenting plan may be best for the children. It can easily be foreseen that one parent will significantly and strenuously argue that the other parent should not reach 146 nights and the parent who wishes that will strenuously argue for it. 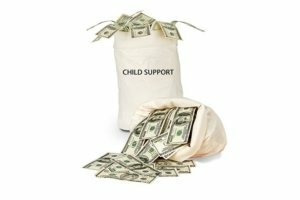 A Judge may need to attempt to determine if the reason for seeking 146 is merely to save child support. The shared care support obligation is prorated based on each parent’s percentage of contribution to the combined net income. The resulting value for each parent is called their child support obligation. Each parent’s child support obligation is multiplied with the other parent’s percentage of parenting time produce an individual obligation for each parent. Income Shares Overview: This tutorial explains the new law and provides an example of how to calculate child support based on case- specific facts under the new income shares model, including how to determine net income of the parents. The tutorial explains how to use the child support calculator provided on the Department of Healthcare and Family Services’ website. The tutorial explains how child support is calculated in shared parenting situations and split parenting situations, when child support may be modified, and the Illinois child support minimums and maximums. Child Support Obligation Worksheet: Once you have determined each parent’s net income and the total child support obligation, you can use this worksheet to determine the amount of each parent’s child support obligation in non shared physical care situations. Shared Physical Care Support Obligation Worksheet: If you are in a shared physical care situation, meaning that both parents have the child for at least 146 overnights per year, you can use this worksheet to calculate each parent’s support obligation. Under the former law, the amount that an obligor parent was required to pay in child support was based simply on the obligor’s income and the number of children involved. Under the new “income shares” model for calculating Illinois child support, the total amount of child support for which the parents are jointly responsible is calculated based on the combined net income of both parents. Once this number is determined, each parent’s share of the responsibility for providing that amount of child support is calculated based on the net incomes of the parents relative to one another.